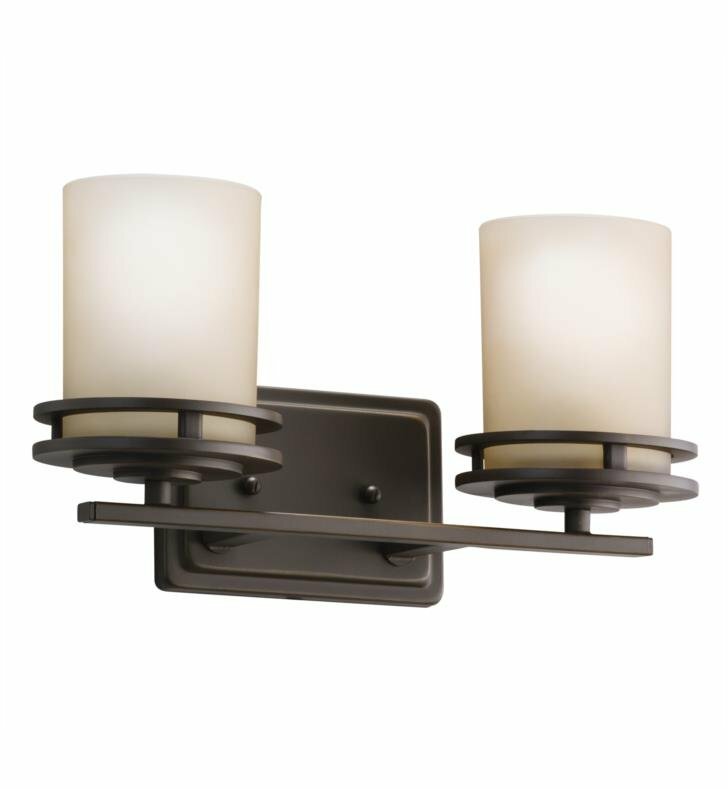 Questions about Kichler Lighting 5077? 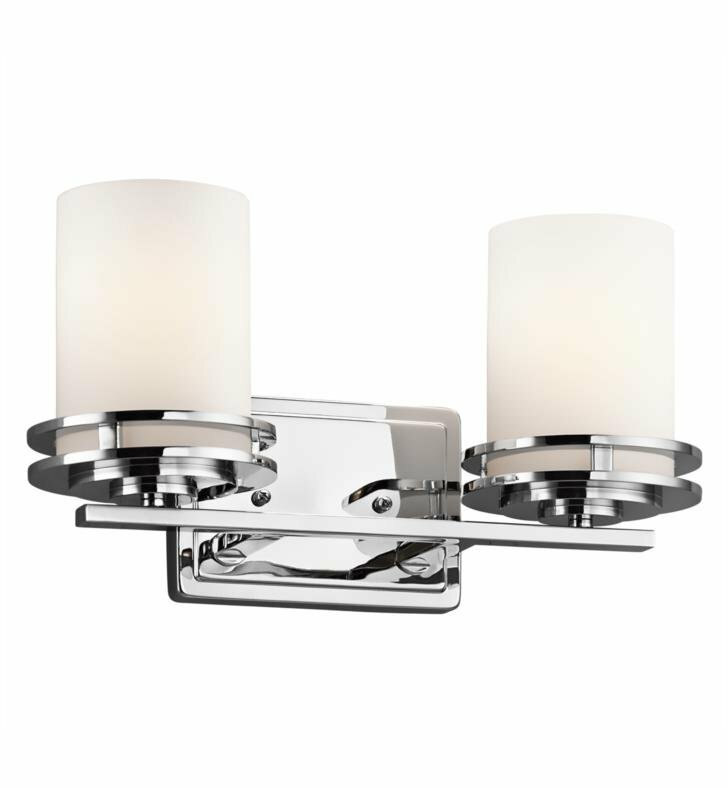 This 2 Light Incandescent Wall Mount Bath Light fixture from the Hendrik collection is a gorgeous fixture that honors the man who was regarded by many as the "Father of Modern architecture". 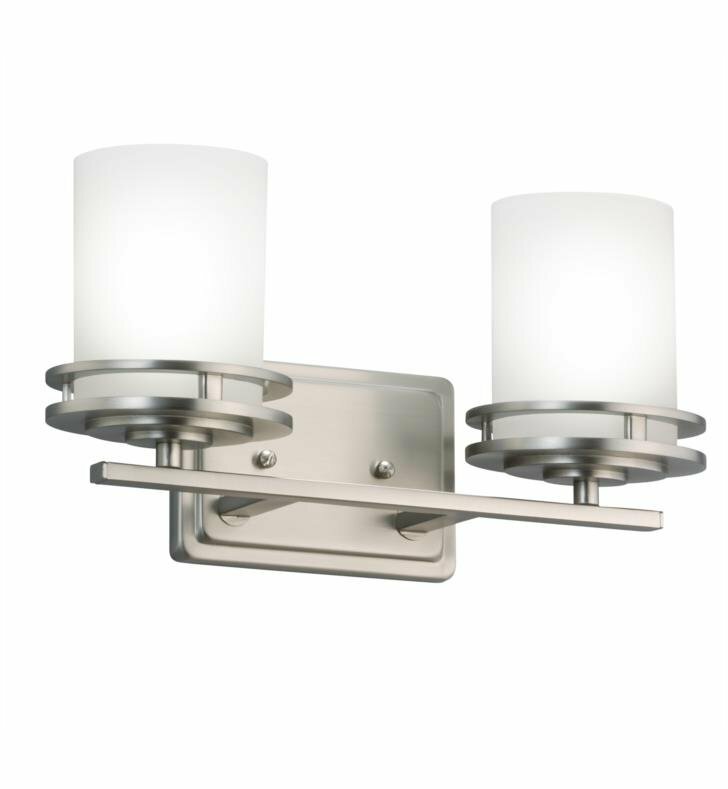 Classic lines are enhanced with a polished Chrome, Brushed Nickel and Olde Bronze finish with Satin Etched Cased Opal glass, in order for this piece to work in a number of different aesthetic environments. W 14 1/2" x H 7 3/4"